Read the Bible with an earnest desire to understand it. Read the Scriptures with a simple, childlike faith and humility. Read the Word with a spirit of obedience and self-application. Read the Holy Scriptures everyday. Read the whole Bible and read it an orderly way. Read the Word of God fairly and honestly. Read the Bible with Christ constantly in view. Here are two videos that every Christian should seek to understand…the main themes of each book of the Bible so that they can comprehend the entire context of the Scriptures. However, this understanding only comes through one way – diligence in reading the Bible. I often get asked what I prefer in terms of Bible translations and contrary to what Bill Nye stated the other night (a man definitely not educated on textual criticism), the Bible being translated into other languages does not always compromise the text. When scholars take the earliest and most plentiful Hebrew and Greek manuscripts of the Old and New Testaments, they seek to translate it with the best available English words. If it is a literal translation, doing its best to match the codes of language of the original texts is called a Formal Equivalence. Examples of Formal Equivalence are the New American Standard Bible (NASB), English Standard Version (ESV), and New King James Version (NKJV). When the scholars translate the text in order to increase the readability for the audience it is called Dynamic Equivalence. Examples of Dynamic Equivalence are the New Living Translation (NLT) and New International Version (NIV). There is a group of text that are simply not the Words of God in equivalence or dynamics which are Impoverished Paraphrases. Examples of this would be The Message and New Revised Standard Version and plenty of others. Personally I use the NASB and I love it. I love that it is a formal equivalence with strong accuracy to the words of the original text as well as I enjoy the readability of it. 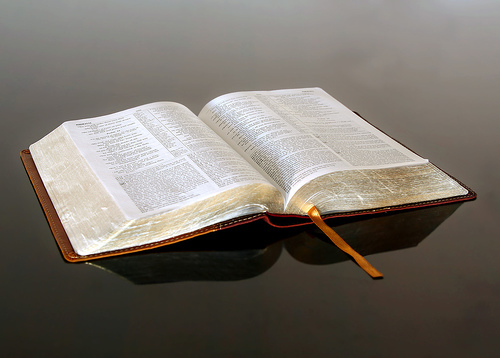 For years, people told me the NASB was difficult to read and so I kept with my old NIV. But after I bought a MacArthur NASB Study Bible and started reading I wish I would have changed over a long time ago. It is a more logical text and not difficult to read. I would alway recommend buying and using either the NASB or ESV on a daily basis in your Bible reading. Your will not regret ever reading the very words of God. 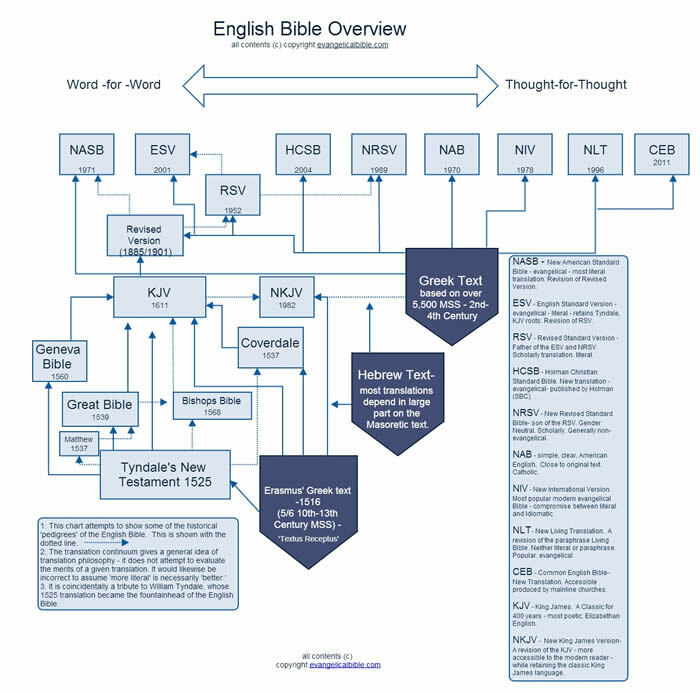 Here is a infographic of Biblical texts from http://grantcastleberry.com/bible-translations-and-bible-reading/. Yesterday, I gave the scientific problems with the Big Bang Theory and today I would like to show that the Big Bang Theory has major problems if you call yourself a Christian. Many people who profess in their faith in Christ have not really thought through the implications of believing in the model that is the Big Bang Theory. This is the major difference and the crux of the issue when it comes to the belief in origins. The Bible teaches very clearly that when God Created the world there was no death, no sin, no suffering, no disease, and it was all good. Then when Adam sinned in the garden, death entered the world since the consequences of sin is death. Man was responsible for death and suffering in the world and God was faithful to send the Lamb of God, Jesus Christ, the Savior, the God-man to live a perfect life, die a substitutionary death on a cross for all who would believe, and raise to life again on the third day. This is the gospel. If you adhere to the Big Bang Theory then you believe that death and suffering and disease were always part of the world’s existence. The Big Bang and billions of years has those things being a consequence which results in God being the creator of death and suffering and disease. 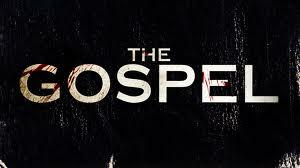 This is contrary to God’s nature and thus uproots the gospel itself by which we are saved. 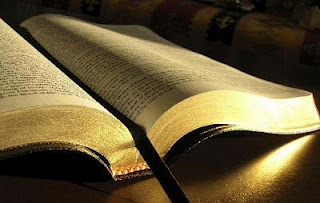 The Bible teaches that God is the force of creation. He is the unmoved mover of creation and He is the author and He is the cause. There is no other. The Big Bang Theory teaches that either there was a previous universe, there was nothing, or you can’t know what caused it all. There was nothing and out of nothing created everything. 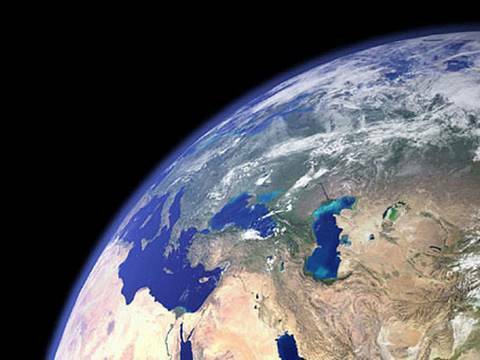 The Bible clearly teaches a short time for the Earth and creation. There is no getting around the Biblical teaching of six 24-hour days of creation except to bring outside presuppositions into the text and change it. 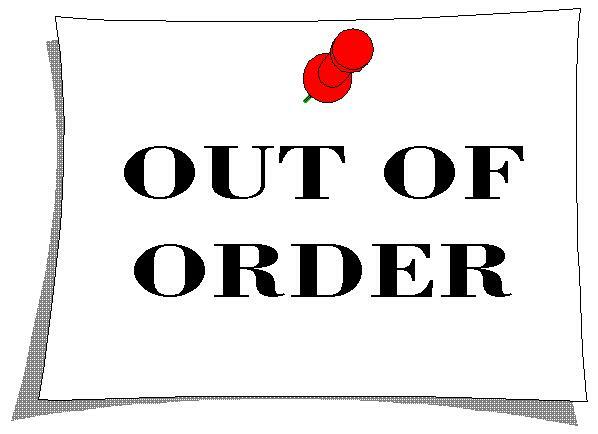 The text has qualifiers of evening, morning, number, and day which all result in a regular 24-hour day. 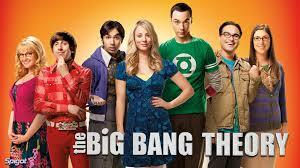 The Big Bang teaches billions of years. The Bible clearly teaches that the earth (Day 1) came before the Sun (Day 4), the Earth before the stars, the birds before the dinosaurs, the fruit-bearing trees before the fish. The Big Bang teaches completely the opposite of the Bible. It teaches the Sun came first, the stars before the Earth, the dinosaurs before the birds, the fish before the fruit-bearing trees. The Bible clearly teaches the creation of the Earth by God, that it was first full of water and then the waters receded to show land. The Big Bang Theory teaches that the Earth was a molten rock with no water and was pretty much an accidental formation of chance. The Bible teaches that all living things were created by God in the kind they are in, that speciation (micro-evolution) occurs to bring about things after their own kind, and that man was made in the image of God. These are two different versions of history. One is God’s Word and one is man’s word. One is based on a historical and verifiable text that is corroborated by scientific evidence and one is man’s fallible interpretation of the scientific evidence that continues to change and be proven wrong. You decide what you want to believe – I myself will put my trust in the Word of God. Christianity is known for jumping on the latest bandwagon, for following the latest fad, for embracing the latest trend. And the last ten years has been no different in the publishing realm. The best-selling evangelical book in the past decade has been developed from the mind’s eye of a four-year-old boy named Colton. 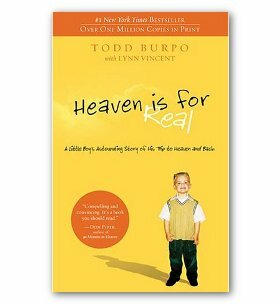 The book Heaven is for Real is written by Todd Burpo who tells the story of Colton who says that he visited heaven when he was under anesthesia for an appendectomy at age 4. In the book, he states he got a halo, real wings, sat on Jesus’ lap while the angels sang to him, saw Mary, and met an Avatarish-blue Holy Spirit. This is not the only “I went to heaven but now I am back” book that has sold million upon millions. The Boy Who Came Back from Heaven is written by Kevin Malarkey (no, I did not make up that name) whose six-year-old son Alex was paralyzed by an automobile accident. During the immediate aftermath and the rehabilitation, Alex tells of his story of making multiple trips to heaven and back while constantly seeing the devil. No, it does not stop there. Don Piper wrote a book called 90 Minutes in Heaven, Bill Wise wrote 23 Minutes in Hell, and Mary C. Neal wrote To Heaven and Back and they have all sold like hotcakes to the Christian and moralistic communities that have little to no discernment. People love these books because they inspire, encourage, and scratch their itching eyes all while leading them further away from the true God of the Bible. The Bible gives us no suggestion at all that God will work in this way. God’s Word states “And inasmuch as it is appointed for men to die once and after this comes judgment…” (Hebrews 9:27). Yes, there were rare exceptions in the Bible like Lazarus was raised from the dead by a miraculous act of our Lord for a specific purpose at a specific time. Paul, who was taken to heaven for a specific purpose, only spent four verses on this amazing journey in 2 Corinthians 12 only to state that it is not profitable and in the end would only boast of his weakness. These books are not like Randy Alcorn’s great book Heaven which is an exegetical or textual study of the Bible. All of these books are outside of what the Bible teaches about heaven and have absolutely no Biblical basis whatsoever. 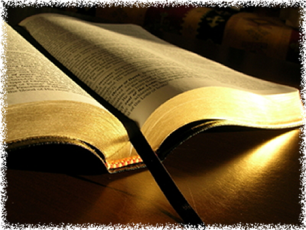 Lastly, is the Bible not sufficient for the Christian? The seeking of outside spiritual experiences such as speaking in tongues, contemplative prayer, listening to God’s audible voice, and extra revelations of God devalues God’s Word and its sufficiency, completeness, inerrancy, infallibility, and inspiration. Our hope is not in the words of a four-year-old or someone who thinks they went to hell but in Jesus Christ our God who has graciously revealed Himself to us in the Bible. It is dishonoring to God if you choose to believe what the Bible says only when you receive some kind of outside confirmation. And it is dishonoring to God and demonstrates the lack of strength of your faith in the Author and Perfecter of our faith. We do not need tales of heaven or claims of one who went there and came back, but we simply believe that what God says in His Word is true. Jesus called Himself the “bread of life” in John 6 and He states that “he who comes to Me will not hunger, and he who believes in Me will never thirst.” Jesus is the Word and His Word will never fail and His Word is sufficient. Stand upon the Rock of His Word and let go of the strings. Here is my first take at Prezi – a free website that makes presentations pretty awesome. Should take some of my vodcasts for chemistry and physics to another level. We measure the distance in space in terms of light years. The distance from one galaxy to the next or one star to the next is measured in how long light would travel in a vacuum in a quantity of Julian years (365.25 days). The distance of one light year is approximately 10 trillion kilometers or 6 trillion miles. 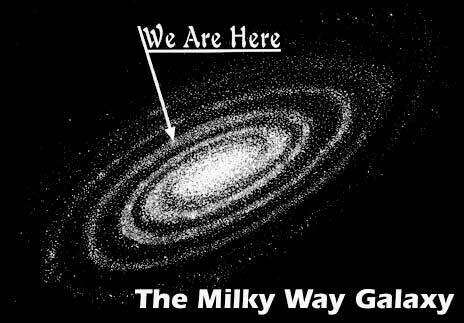 To give you an example, our Milky Way Galaxy is approximately 100,000 light years across, the nearest star (other than our Sun) is about 4.22 light years away, and the distance from the Earth to the known edge of the universe is about 4.65 x 10^10 light years away. There are galaxies that are so far away, it would take light from their stars billions of years to get from there to here; we can see these galaxies, so their starlight has already arrived here; therefore the universe must be at least billions of years old. The science that astronomers use to measure cosmic distances are generally logical and part of evidential science as opposed to evolutionary assumptions. These calculations are reproducible, observable, and measurable and confirm that the universe is in fact, amazing and big. We are pretty insignificant in the whole scheme of things and the size of the universe declares the glory of God (Isaiah 40:12, Psalm 19:1). So is this a problem for Biblical Christianity and the Bible’s account of Creation? There are a few logical reasons why I am convinced that the size of the universe is not a problem for those who adhere to a Biblical view of evidential and historical science. I’m going to tip my hand here and say that this is my Biblical view of the size of the universe – God originally created the universe and He created it good. What I mean by this is that when God created the universe approximately 6,000 years ago, He created it already in motion, in perfect harmony, with light already traveled, in His perfect knowledge. 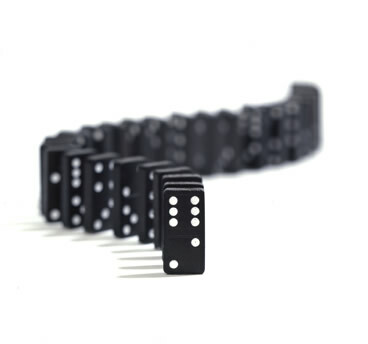 I have heard many people say that this would make God tricking us or seeing an illusion or is uncharacteristic of God. But I would have to strongly disagree here. Did He create Adam as a baby? Did He create Eve as a baby? Did He create all the animals in hatching eggs and newborns? When Jesus healed the mute man, did the man need to go to a speed pathologist to learn how to speak? When Jesus healed men with mutilated arms or men who were lame, did they need physical therapy to build back up their limbs? No, not at all. Was God trying to pull an illusion or trick us or was this uncharacteristic of Him. I say again, not at all. His creative power is amazing and miraculous and His knowledge is best. 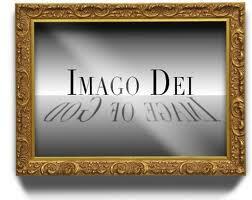 And so, my Biblical argument is God’s creative power put the light in place where it needed to be. All scientific estimates as to the age of things like stars and galaxies all have to some degree of assumptions built into these calculations. The assumptions range from the starting conditions, the constancy of things like the speed of light, changes in the system over time, and many others. The problem with any age estimation comes in knowing the starting conditions. We were not there but there was One that was there. And the history of those starting conditions are recorded for us in the Bible. 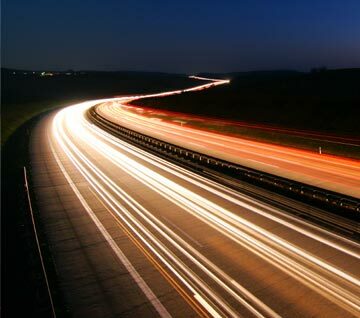 The big question to any astronomer is to the constancy of the speed of light. Has it changed over time? Is it slower now than it once was? Since this is a historical scientific issue it is impossible to extrapolate back to know with 100% accuracy if the speed of light has or has never changed. Another assumption is the relativity of time in space. 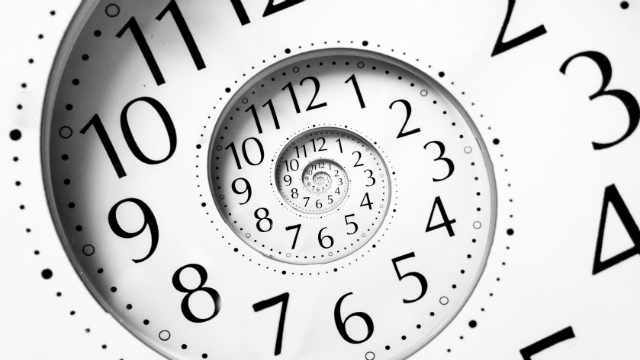 As Einstein stated, time can flow at different rates from different points of view. This could also apply to distant starlight in that light that would take billions of years to reach Earth as measured from space could reach the Earth in only thousands of years as measured by Earth. Big-bang proponents believe that billions of years ago the universe began as an infinitely small state of singularity and then rapidly expanded. This theory proposes that the light from distant stars and their expanding nature show evidence for this massive timeframe. 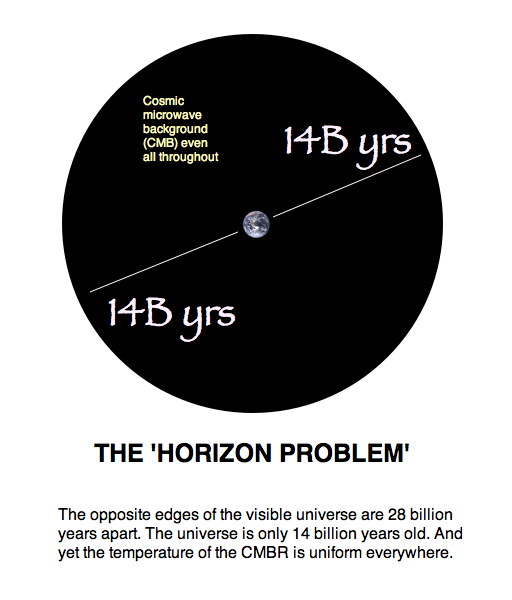 The theory has a huge problem though – often called the horizon problem. 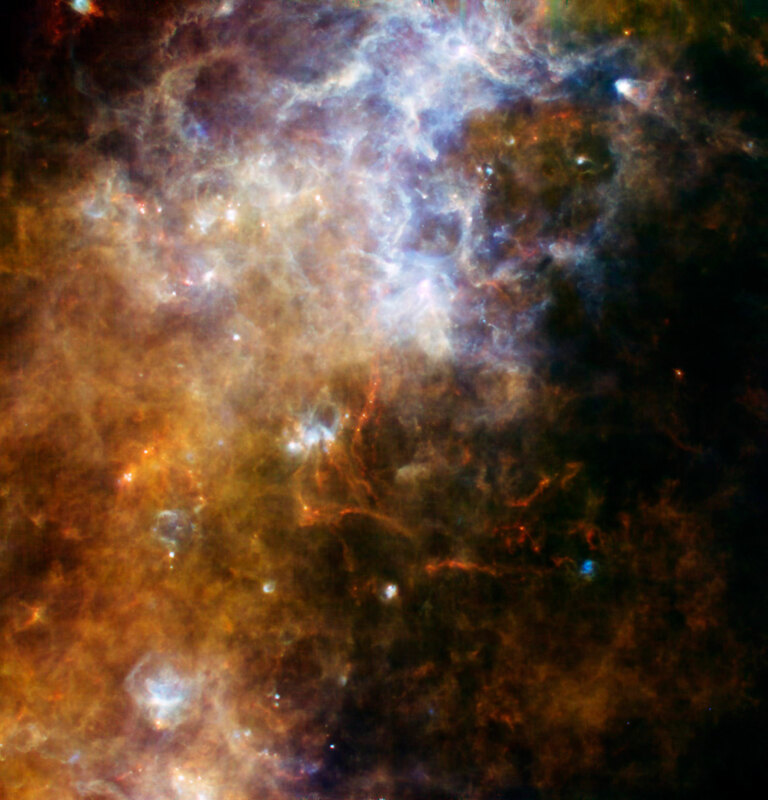 When the universe was still very small, it would develop different temperatures in different locations. We will make point 1 a higher temperature spot and point 2 a lower temperature spot. According to their theory, these two points rapidly expanded and are now very far apart. If you understand the first law of thermodynamics and the conservation of energy, you already see the problem. The universe has an extremely uniform temperature even beyond the farthest known galaxies. The temperatures that we measure through cosmic microwave backgrounds show temperature deviations along the lines of one part of 1 x10^5 power. That is a 0.00001 degree Celsius difference. 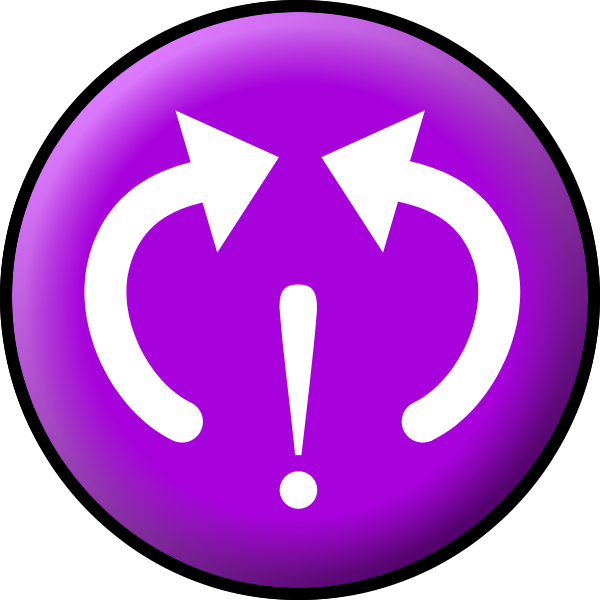 Only through the exchange of energy can temperatures come to an equivalence point. Similarly to a cup of ice in water melting from the absorption of heat from its surroundings and coming to a constant, equal temperature. This takes a lot of time to come to an equilibrium and there is proven that there has not been enough time in 14 billion years to get the light from point 1 and 2 to come to that equilibration. This shows a light travel-time problem that is unanswerable and is therefore a self-refuting argument. 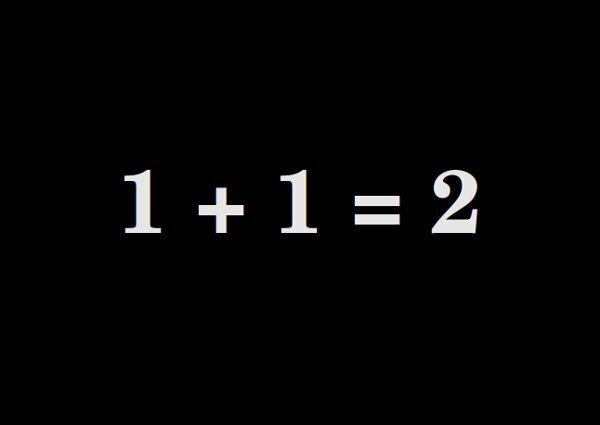 There is only one argument that is consistent, never-changing, and true. That is the argument that is recorded for us in Genesis of God’s Word. The evidence that we test, reproduce, and measure are consistent with His perfect Word and we must humble ourselves to the absolutely sovereign Creator. The evidence of numerous hot blue stars that cannot last billions of years, rotating spiral galaxies that would be twisted up beyond recognition if they were billions of years old, and the decaying magnetic fields of our own solar system show evidence of a Biblical account of Creation. We can be confident that God was in control of Creation and He organized it and planned all of it. Again His Creation was amazing, miraculous, massive, and humbling. Let us take His Word for it. Note: The quote above and some information from “Assumptions in Light-Travel” and “The Horizon Problem” taken from Lisle, Jason. (2006) The New Answers Book. Answers in Genesis. 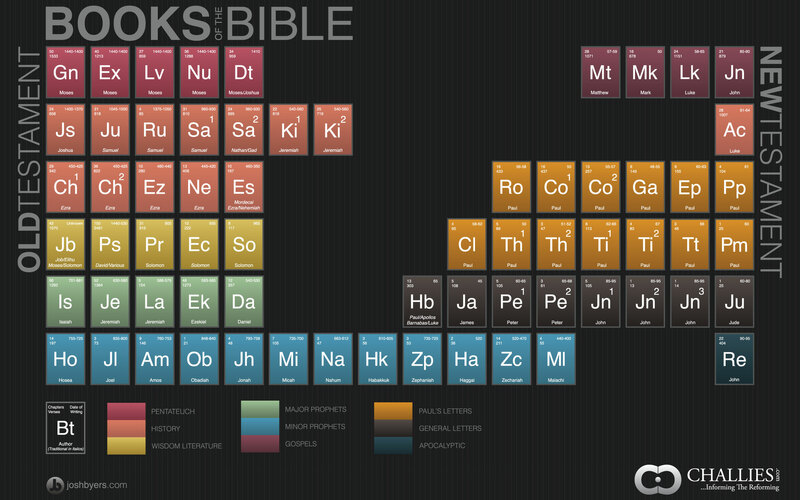 As a Christian and a chemistry teacher, here is an infographic courtesy of challies.com that I love. The books of the Bible set to the structure of the Periodic Table. Absolutely great!